J-Book Club: Quit Your Band! Notes from the Japanese Underground by Ian F. Martin – The Japan-America Society of Washington, Inc.
From the sugar rush of Tokyo’s idol subculture to the discordant polyrhythms of its experimental punk and indie scenes, this book by Japan Times music columnist Ian F. Martin offers a witty and tender look at the wide spectrum of issues that shape Japanese music today. With unique theories about the evolution of J-pop as well as its history, infrastructure and (sub)cultures, Martin deconstructs an industry that operates very differently from counterparts overseas. Based partly on interviews with influential artists, label owners and event organisers, Martin’s book combines personal anecdotes with cultural criticism and music history. 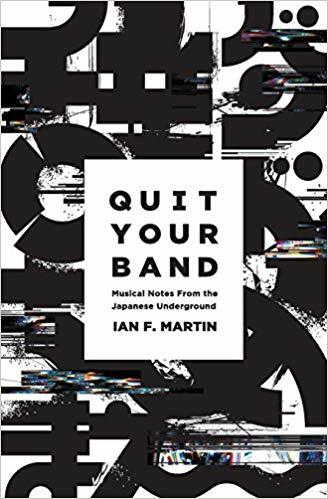 An accessible and humorous account emerges of why some creative acts manage to overcome institutional pressures, without quitting their bands.